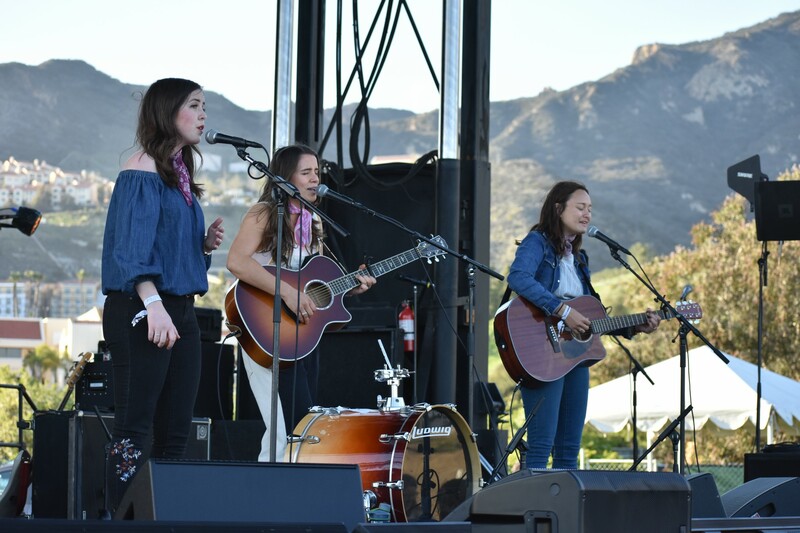 Pepperdine students, friends and alumni gathered on Alumni Field for the annual Pacific Sounds Music & Arts Festival on Saturday, March 24. 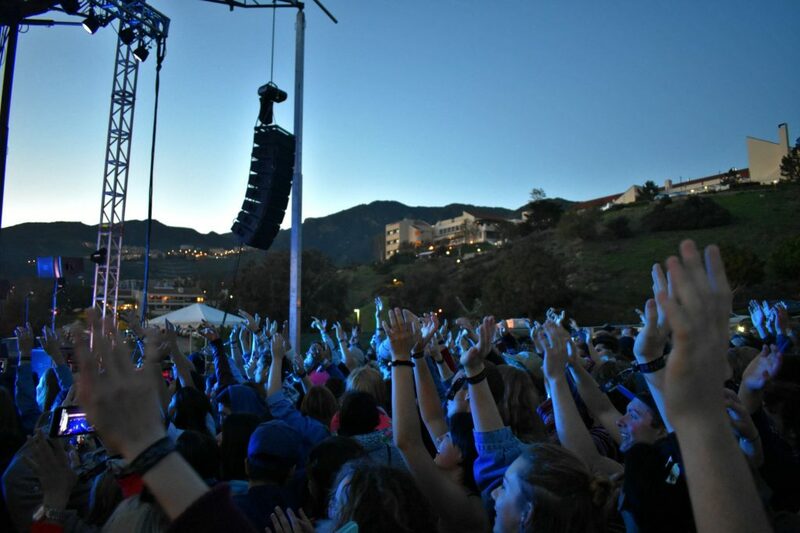 The Board hosted the event and sold tickets for $5 in the Waves Cafe for two weeks before the concert, before charging $15 at the door, and had a record-breaking number of pre-sale tickets, according to The Board member Corbin Ford. 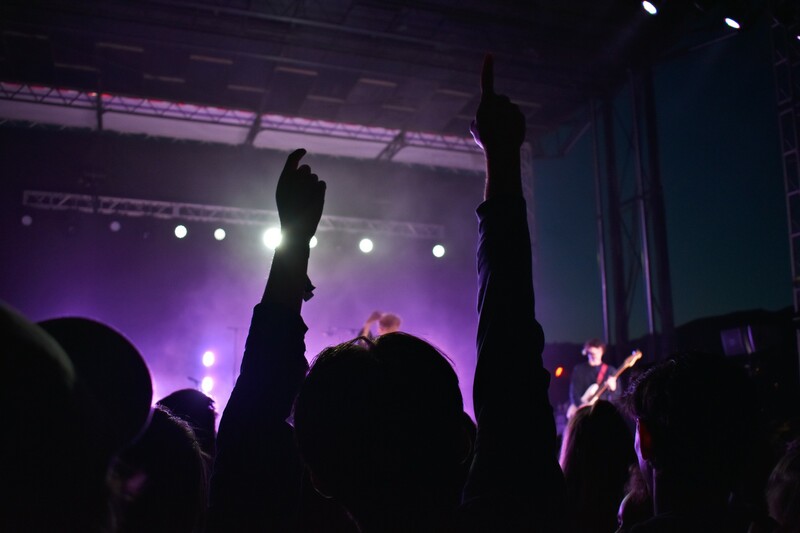 This year the event had two student bands, Oddysseys and The Tide Trio, followed by headliners COIN and Electric Guest. 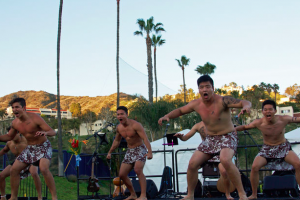 Pacific Sounds opened with The Oddysseys, a student group consisting of juniors Paul DiRico and Josh Corbin, senior Christian Treon, and sophomore Mark Pangilinan. The band formed three years ago and added Pangilinan two months ago as their drummer. DiRico called the band an “indie type” and said the band was excited to open for Pacific Sounds. 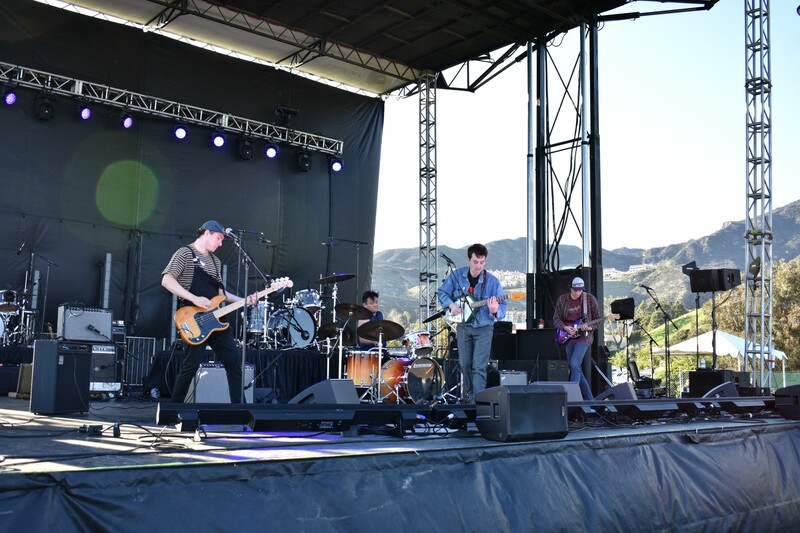 Students danced throughout The Oddysseys’ set and bobbed their heads before taking a seat for The Tide Trio. The Tide Trio consisted of junior Lizzy LeBleu and seniors Becca Blair and Andie Smith. LeBleu previously opened for Pacific Sounds, but played with her friends this year. The band was a slower pace than The Oddysseys, as they played folksy covers of “Love” by Nat King Cole, “Down in the Valley” cover by The Head and the Heart and “Sunday Morning” by Maroon 5. Junior Courtney Boggus saw COIN two weeks ago at the Fonda Theatre in Los Angeles, but came out again to see the band. The band agreed that “Malibu, 1992” was their favorite song to perform at Pacific Sounds. 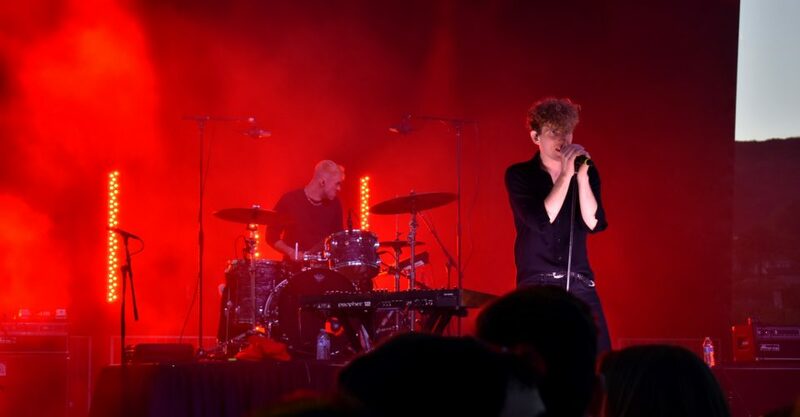 Students gathered to watch COIN perform and danced and sang along to the band’s hits. When Lawrence came down from stage to meet students at the barrier during “Talk Too Much,” students eagerly moved forward to have the chance to be close to him. At the end of the set, students cheered for an encore before Electric Guest came out to headline. 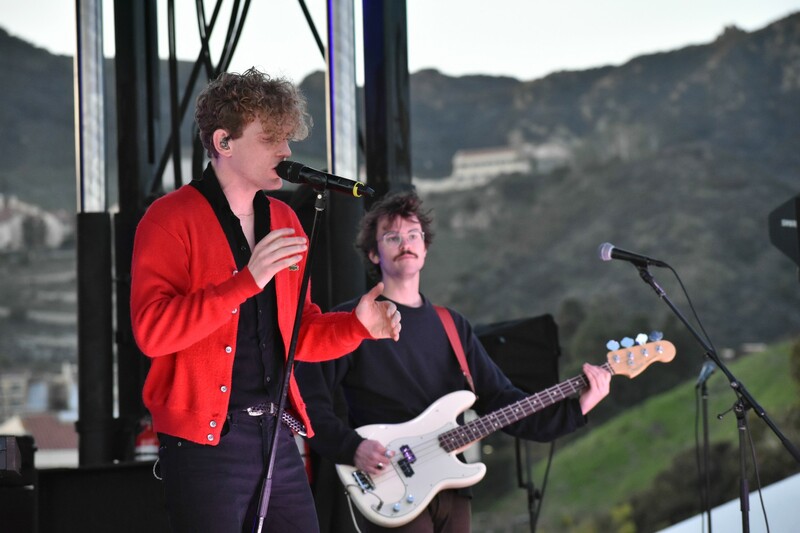 Electric Guest slowed down the pace from COIN’s upbeat and lively setlist, as they performed their indie rock and pop songs. The Los Angeles-based band formed in 2011 and band comprises of lead vocals Asa Taccone, drummer Matthew Compton, keyboardist and guitarist Reese Richardson, and bassist Luke Top. 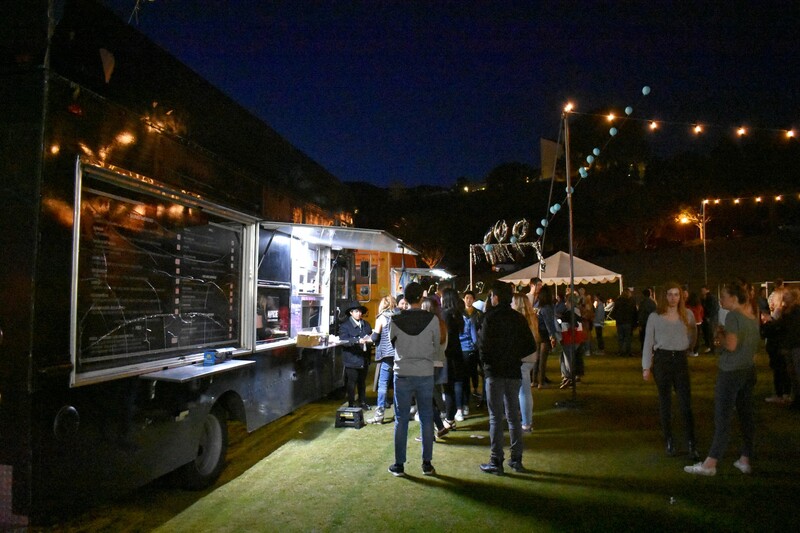 Throughout the night, students came together to listen to live music, ride the ferris wheel, and eat at one of the four food trucks, with The Grilled Cheese Truck as the most popular with the longest line. Junior Corbin Ford, a member of the The Board’s Weekends, Arts & Culture committee, said this year’s event will thrive compared to past years.